Hurrah for Friday! It's been a long week and I'm glad it's nearly over. It'll be my last weekend alone before the in-laws come out, followed by my parents through the end of summer. I'm going to make the most of it, and try to relax, have fun, and minimize any errands. How do you plan on spending your weekend? 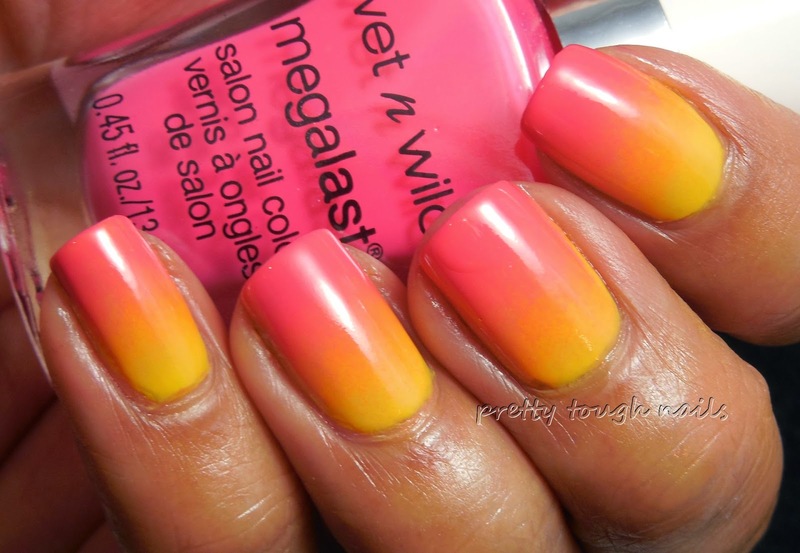 I've been neglecting nail art over the past couple months and decided to do a quick gradient using the new Wet 'n' Wild Megalast All Access Summer collection. 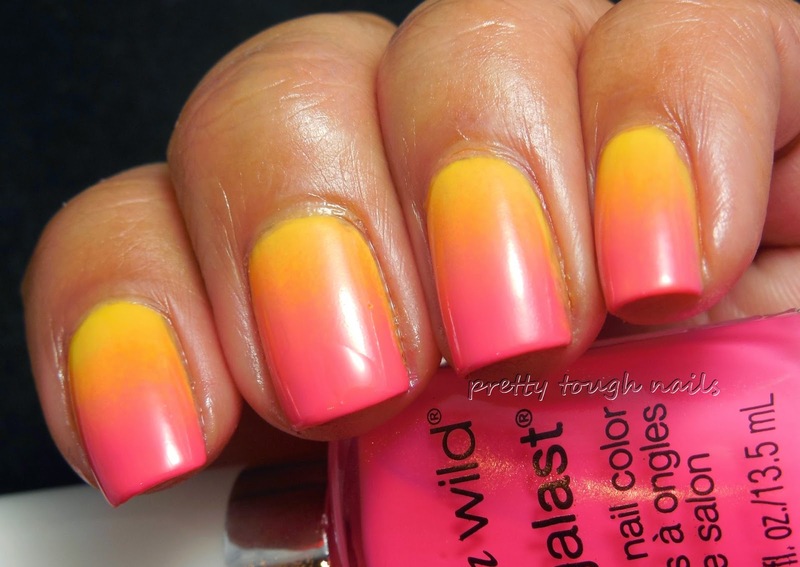 I started with a base of the lightest color, A Venice Day, which required three coats for opacity. 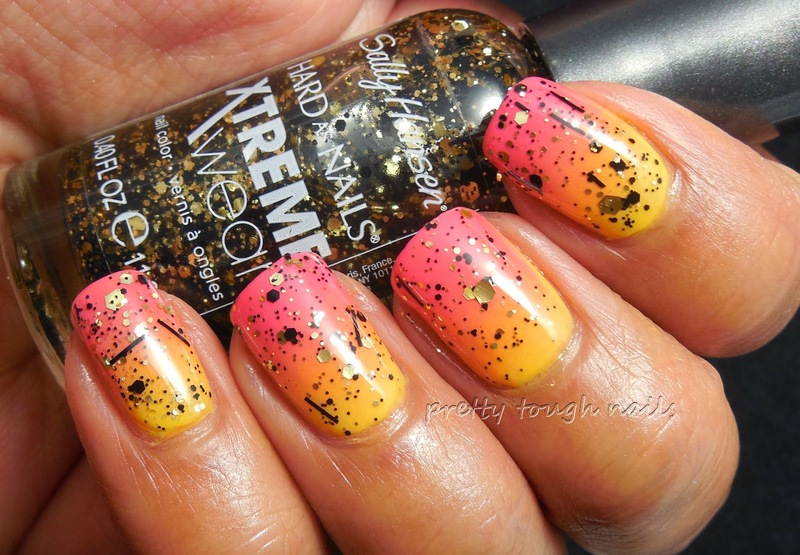 Next I sponged on the three gradient colors - A Venice Day, Love Me Some Muscle, and Beat Of A Generation together. The middle shade, Love Me Some Muscle, ended up getting bullied out by the more pigmented pink of Beat Of A Generation. 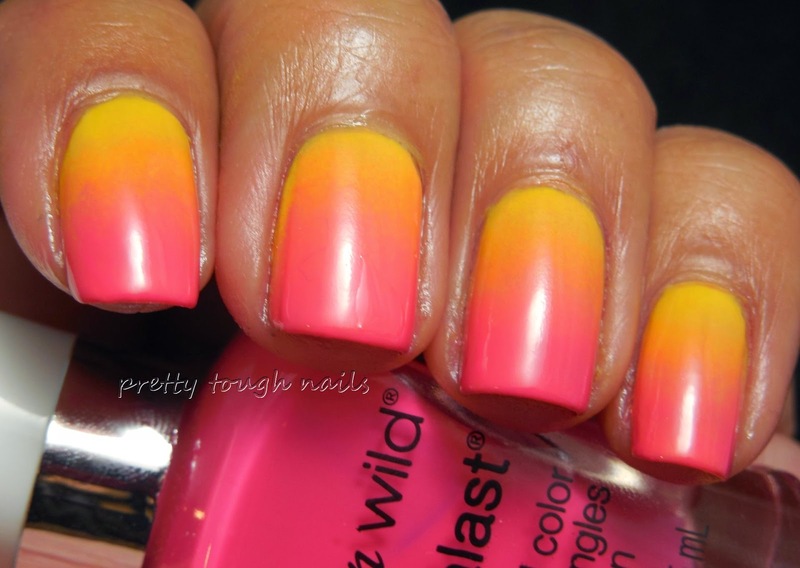 I'm happy the way the colors blended together because it looks like a warm tropical sunset. Pardon my crappy clean up, it's hard to do my nails when LO wakes up in the middle of my polish hour! I added some visual interest to the gradient with Sally Hansen Spark In The Dark, a clear glitter topcoat containing matte black bar and hex glitter and gold hex glitter. Probably not the best layering combination with the gradient but I've been wanting to try this one out for a while. There's something about that gold and black glitter combination that makes me weak in the knees! Keep in mind when using this polish that the suspension base is thick like typical glitter bases, but when it dries it tends to shrink the base paint beneath it - you'll want to make sure to paint up to if not beyond your base color on your nail bed. This is finished with a layer of topcoat. 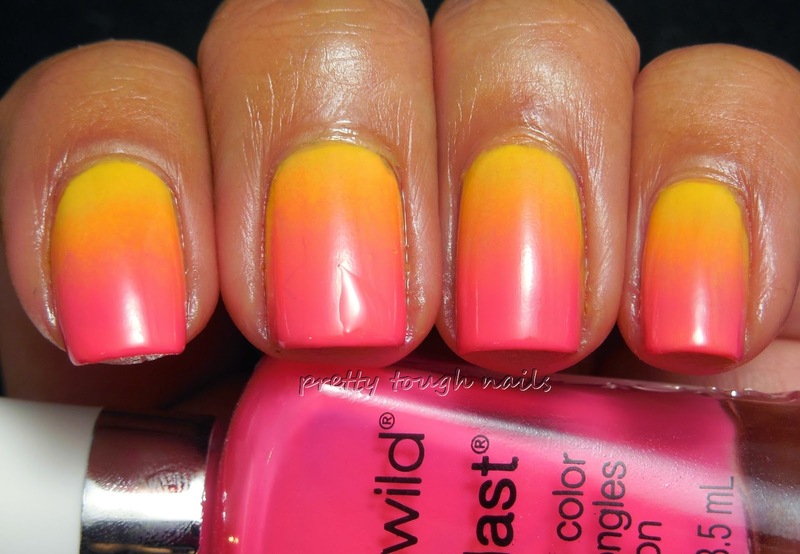 Somehow with this combination I turned a beautiful tropical sunset into a bad neon eighties outfit. LOL. Well, at least I got Sparks In The Dark out of my system and it's no longer an untried, however, I'll have to come up with a more complimentary base color the next time I brave using it. Blue maybe? This is one reason why I have a hard time wearing gold accessories - it's so hard for me to coordinate! Do you ever have this problem?